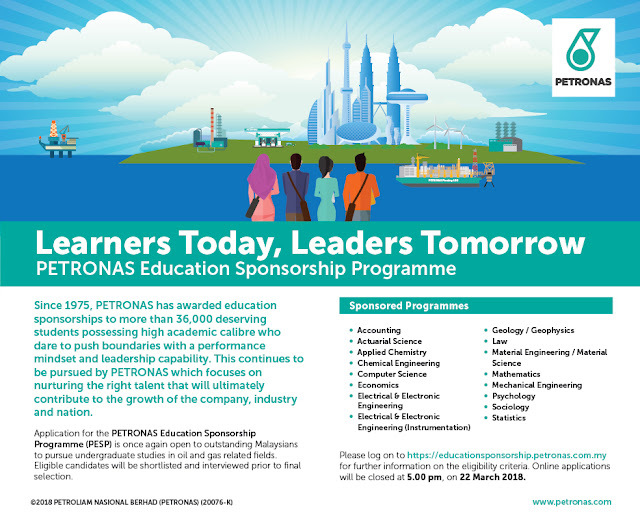 Since 1975, Petronas has awarded education sponsorships to more than 36,000 deserving students of high academic calibre who dare to push boundaries with a performance mindset and leadership capabilities. 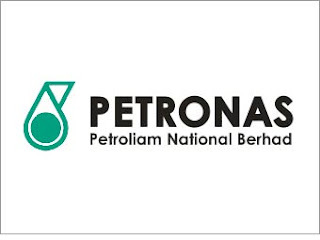 This continues to be pursued by PETRONAS, which focuses on nurturing the right talent that will ultimately contribute to the growth of the company, industry and nation. Applications for the PETRONAS Education Sponsorship Programme (PESP) is once again OPEN to outstanding Malaysians to pursue undergraduate studies in select fields. 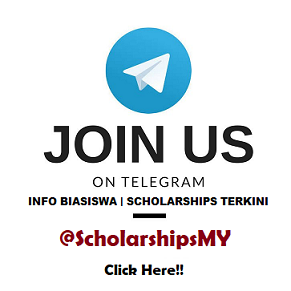 Eligible candidates will be shortlisted and interviewed prior to final selection.